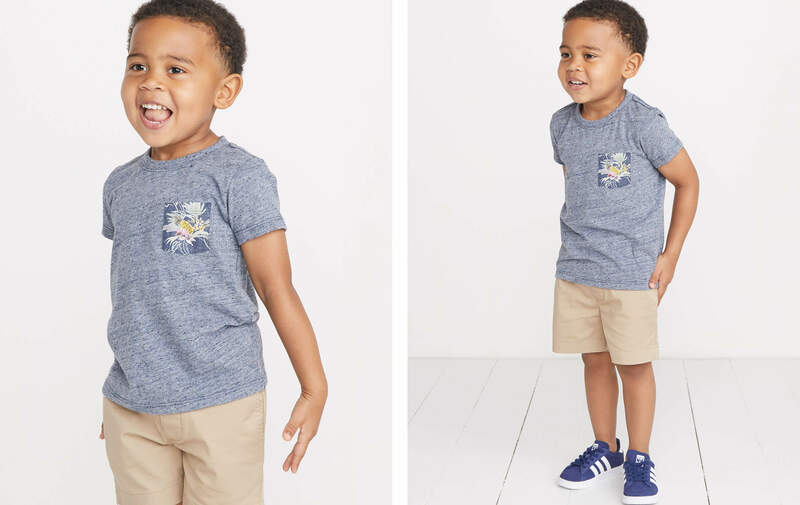 If he's not ready for a full Hawaiian shirt yet, try this pocket tee with a hint of aloha. One day, when he's ready, he can come back to us for the real thing. 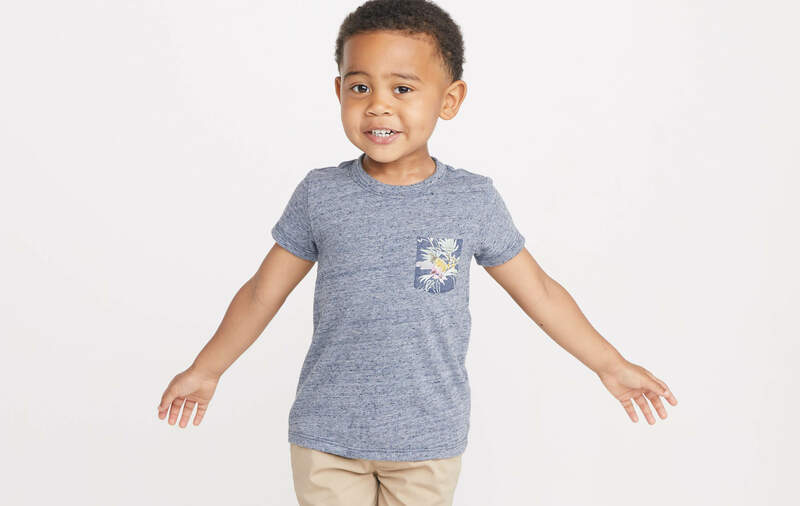 Ezra is 36" tall, wears a size 3-4, and would you just look at that face?